Born in Johannesburg, South Africa, Dylan Lewis studied art at the Cape Technican, Cape Town in 1982. He went on to study painting under Ryno Swart at the Ruth Prowse School of Art, Cape Town in 1989 before moving to Stellenbosch, South Africa, to establish his own studio and bronze foundry in 1993. 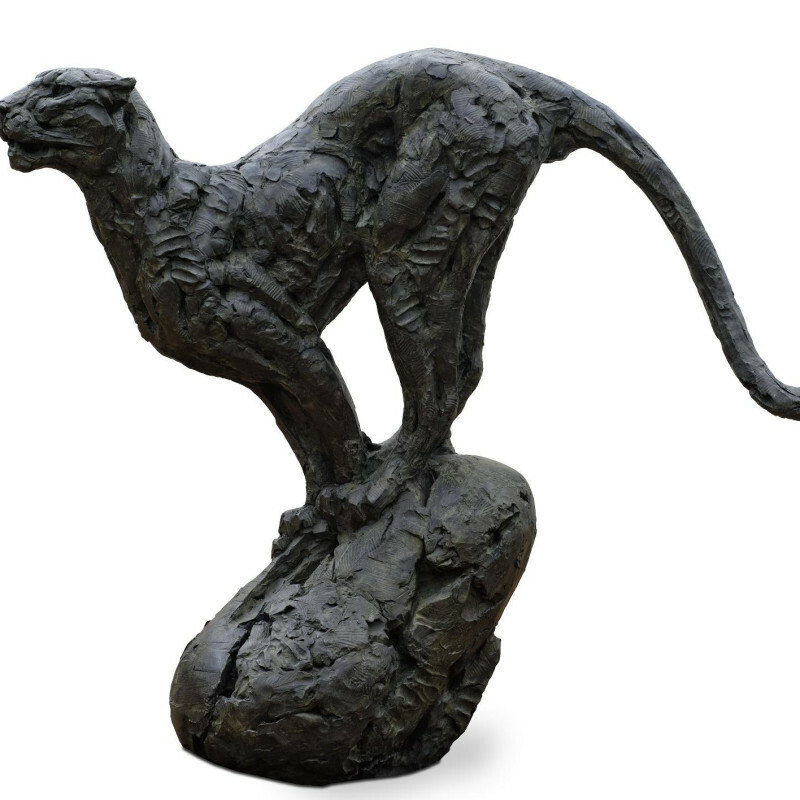 Two years later Dylan was invited to represent South Africa at 'Artists for Nature Foundation Expedition' in Cordova, Alaska and in 1997 he completed a commission of eighteen life-size Leopard sculptures for Leopard Creek Country Club, Malelane, South Africa. Since then he has held numerous solo shows internationally and in South Africa, as well as participating in group shows around the world including in London, Dallas, Toronto and San Francisco. His sculpture, which represents human figures as well as wildlife, tends towards the monumental. It explores form and fragmentation, and frequently evokes a powerful sense of latent energy and balance.